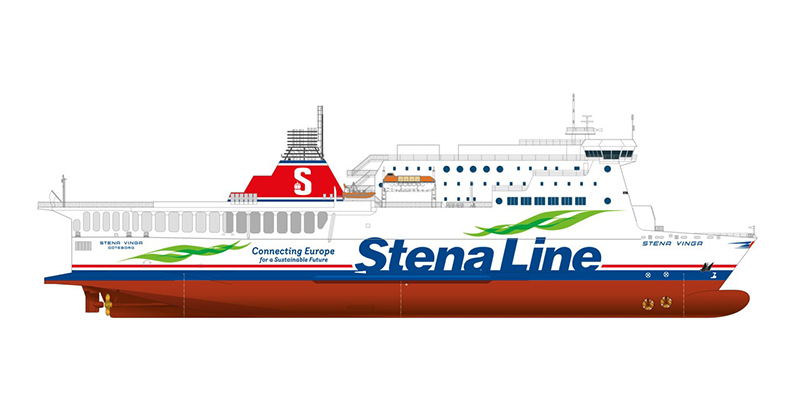 A drawing of STENA VINGA has emerged on Stena Line’s website. The former HAMMERODDE is at the Landskrona shipyard to be prepared for her new role on Gothenburg-Frederikshavn. Unity Line added its 8th ship on the Trelleborg -Świnoujście route (2 September). With 1,830 Lane meter of freight deck, the COPERNICUS is primarily intended for cargo. CLdN starts its Zeebrugge-Santander ro-ro service on 18 September: two direct sailings per week in two directions, with two dedicated ships.